The Association of Community Organizations for Reform Now (ACORN) was a key architect of a law passed in 1992 that set Fannie Mae and Freddie Mac on the road to ruin, according to a new book by Robert Stowe England to be released September 30 by Praeger. 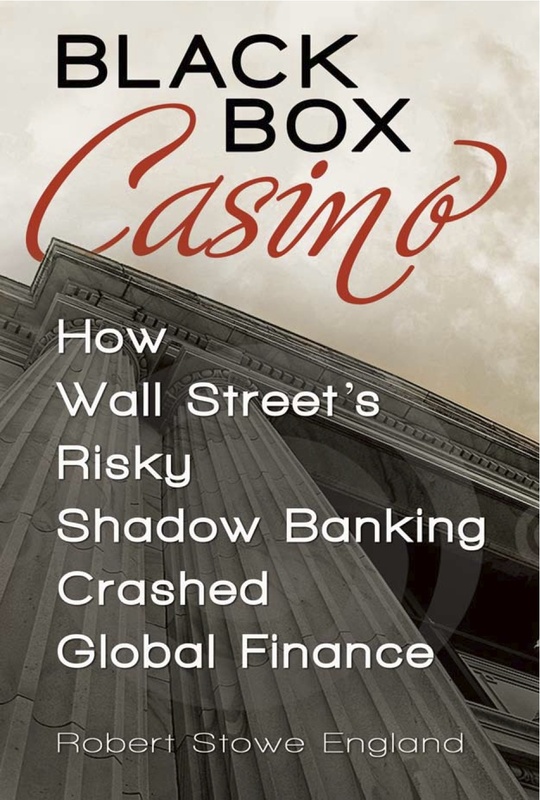 The book, Black Box Casino, uncovers the myriad factors that led to the financial crisis of 2008, the worst financial implosion of modern times. This story is one of many threads woven into the book's narrative. Read more about Black Box Casino at this link. ACORN was a key leader in clandestine negotiations among housing activists to shape new legislation that would set into place the regulatory regime that governed Fannie and Freddie. According to an affordable housing advocate familiar with what transpired at the meetings, ACORN and other housing groups were "informally deputized" (Black Box Casino, page 42) in 1992 to write key parts of new legislation by former House Banking Committee Chairman Henry Gonzalez, a Texas Democrat. ACORN was co-founded in Arkansas in 1970 by Wade Rathke, a former member of the radical Students for a Democratic Society. Once ACORN and other housing advocacy groups reached an agreement amongst themselves in secret negotiations in 1992, Gonzalez championed their agreement as his own in Congress, where the provisions were enacted into law. The radical regulatory template that emerged from the housing advocates secret meetings became the centerpiece of the Federal Housing and Enterprises Safety and Soundness Act of 1992, or as it also known, the GSE Act. Fannie and Freddie are government-sponsored enterprises. The idea for GSE legislation was originally proposed by the George H. W. Bush Administration and within Congress as a vehicle to ensure that Fannie and Freddie would not repeat the regulatory mistakes that led to the savings and loan crisis that cost taxpayers over $150 billion. The original intent of the legislation was to establish a regime of prudential regulation and oversight to assure that the GSEs always operated in a safe and sound manner. The goal of creating a prudential regulatory regime was superseded by provisions in the GSE Act that created ambitious affordable housing goals and a mechanism by which they could be constantly raised -- without any consideration of whether or not it would impact the safety and soundness of the GSEs. ACORN and other housing groups had already scored a key victory in 1989 when they worked together behind the scenes in a similar fashion to craft the Community Investment Program provision in the Federal Financial Institutions Reform, Recovery and Enforcement Act (FIRREA) of 1989. The Community Investment Program provision in FIRREA requires members of the Federal Home Loan Banking System (about 7,500 banks today) to set aside a portion of their profits to finance "community investments," usually at below market rates of return. The 1989 provision was viewed by ACORN as "tithing" by banks to support community projects. It was, in fact, an expropriation of profits and set into banking regulation the idea of politically-determined credit allocation schemes. ACORN wanted to impose a similar "tithe" on Fannie and Freddie. The Center for Community Change was behind the idea of having housing groups craft key provisions of the GSE Act, according to a housing advocate familiar with how the effort was organized. The center was founded in 1968 to honor Presidential hopeful Robert F. Kennedy, assassinated that year in Los Angeles by a Palestinian immigrant, Sirhan Sirhan, as he was campaigning for the Democratic nomination. The Center for Community Change called on the National Low Income Housing Coalition to convene a working group of affordable housing advocates, which included ACORN and Consumers Union, as well as other participants from state governments and nonprofits involved in community development. The coordinated effort had the advantage of getting all activist groups on the same page with a united front so they could more easily prevail over political opposition. It also assured that the debate would occur out of public sight and thus make it easier to enact radical positions that would not withstand public scrutiny. The secret insider role was part of a dual insider/outsider strategy of the housing advocates and radicals (page 41), who would stage noisy and disruptive demonstrations and take over hearings to put public pressure on any opponents to their insider strategy. A debate erupted among the housing groups between two distinct views of how national housing policy could benefit poor communities in deteriorating neighborhoods. Gale Cincotta, a firebrand from Chicago, headed the National People's Alliance, which favored incorporating into law existing informal policies on affordable housing followed by Fannie and Freddie. GSE purchases of mortgages from low and moderate-income households represented 30 percent of their business. The GSEs also informally had adopted an overlapping goal of having 30 percent of their loan purchases be from disadvantaged urban areas. These two goals together were known as the 30/30 goals. Cincotta won the debate over whether to pursue housing goals or ACORN's tithing approach. Cincotta was able to prevail in the debate because she had the backing of Fannie Mae and Freddie Mac (page 42.) Fannie Mae Chairman Jim Johnson had earlier decided to meet with the housing groups in order to shape the final legislation -- aware that the crafting of the bill was being outsourced. ACORN had, by 1992, become a key part of the electoral strategy of the Democratic Party. Johnson, who hailed from Minnesota and who ran the failed Presidential bid of Walter Mondale in 1984, was politically connected and already had ties to ACORN. Even so, ACORN, with a more radical view than either Cincotta or Johnson, was determined to create a scheme that would provide political incentives that would drive the level of affordable lending ever higher in perpetuity -- and do so by lowering mortgage lending standards. After losing the tithing debate, ACORN wanted to add a third special affordable housing goal to the 30/30 goals. This third goal would be for very low income borrowers. This time, after a debate within the housing group, ACORN's view prevailed over Cincotta's. Fannie and Freddie agreed to pledge $3.5 billion in funds for the special affordable goal. The housing advocates also won a set of additional victories over how Fannie and Freddie would be regulated. For example, control over the housing goals was given to the Department of Housing and Urban Development (HUD). The goals regulator at HUD would have the authority to raise the affordable housing goals over time with no limit on how high they could go. The prudential regulator for Fannie and Freddie had no say whatsoever in the housing goals, achieving another goal of the housing groups. That regulator, the Office of Federal Housing Enterprise Oversight or OFHEO, was placed within HUD under the new law. It was, thus, was not an independent regulator. Incredibly, Treasury Secretary Nicholas Brady also favored a regulator within HUD, while publicly saying he favored an independent regulator. The housing advocates also scored with the decision that OFHEO's budget would be financed by Congressional appropriations and not by fees charged to Fannie and Freddie and forwarded to OFHEO. Other banking regulators are funded by fees from the banks that they regulate. Having to go hat in hand every year for new appropriations, OFHEO was, from the beginning, subject to political pressure from Congress to go easy on Fannie and Freddie. Instead of guaranteeing safety and soundness for Fannie and Freddie, the GSE Act was a recipe for disaster. Practically no one in Congress expressed any skepticism publicly about the intent and potential impact of the affordable housing goals. Many thought at the time the goals were there merely to insure equal lending standards for all, which was not its intent, according to Edward Pinto, former chief risk officer for Fannie Mae. “They didn’t see the HUD affordable housing mission for what it was, to completely recast underwriting standards for the entire industry in an effort to spread wealth to get equal outcomes,” Pinto said (page 44). Those who supported strong prudential regulation for Fannie and Freddie "were rolled," according to Pinto. "The way the bill got through [Congress] was the safety and soundness got watered down" and the affordable housing goals became the price paid for the weakened regulation, he said (page 44). Fannie and Freddie were required to have only 2.5 percent capital against loans they held on their books. Banks with mortgages held on their balance sheet have to hold 8 percent capital against the mortgages. Further, Fannie and Freddie had to hold only 0.45 percent capital against the guarantees they issued for their mortgage-backed securities. With these thin capital standards, the GSEs had a 40-to-1 leverage ratio for loans and a 222-to-1 leverage ratio for its guarantees. Depending on the mix of guarantees and loans, the overall leverage of the GSEs could rise dramatically. In 2008, the ratio approached 100 to 1. With leverage that high, modest losses could easily wipe out capital and require a taxpayer bailout. Incredibly, the accounting standards employed by the GSEs were not like those of banks and other financial institutions. Instead, they were the generally accepted accounting principles or GAAP, which gave Fannie and Freddie more leeway to disguise losses. The radical rationale behind the thin capital standards set by the GSE Act was inadvertently revealed by Massachusetts Congressman Barney Frank in September 2003, during hearings on OFHEO's finding of accounting fraud at Freddie Mac. This comment reveals that Frank and radical housing advocates defended the highly leveraged capital standards because such standards meant that Fannie and Freddie could engage in more affordable lending from a given capital base than they could with conventional and more prudent capital requirements. Over time, a succession of HUD officials raised the goals during both the Clinton and George W. Bush Administrations. The main goal for low and moderate-income borrowers reached 57 percent by 2008, nearly double its 1992 level. The special affordable goal for very low income households (ACORN's provision) reached 28 percent, more than double the 11 percent level of 1995, the first year it was set. Thus, in effect, Fannie and Freddie expanded their overall lending by increasing the level of lending to households with the weakest of credit and the least amount of funds to put down for a purchase. Along the way, Fannie and Freddie increased their level of risky lending but concealed the level of risk from public view by refusing to classify mortgages as subprime that were, in fact, made to borrowers with subprime credit (credit scores below 660). Fannie and Freddie got into low and no documentation loans, as well as low down payment loans, too, increasing the risk on its books. In 1997, they launched their 3 percent downpayment mortgages and then moved to zero percent down payment mortgages in 2000. By mid 2008, on the eve of the financial crisis, Fannie and Freddie owned or guaranteed $1.8 trillion in risky mortgages, according to Pinto, who conducted a forensic study of the loan level information released by the GSEs after the government took over the GSEs and began to require them to release more data on the characteristics of Fannie and Freddie loans (page 62). Other government programs, including the Federal Housing Administration, represented another $900 billion in risky loans. 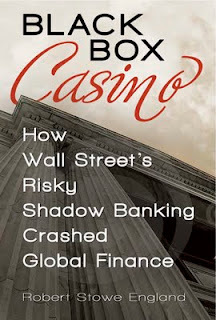 The government share of risky lending was, thus, $2.7 trillion on the eve of the crisis -- greater than the private sector mortgage-backed subprime and low-documentation mortgage securities, which stood at $1.9 trillion, according to Pinto. By mid 2008, there was $4.6 trillion in risky mortgages in the $11 trillion mortgage market -- more than double the $1.9 million that markets recognized as risky. The housing market, which was dominated by prudent lending in the early 1990s had become a huge risky endeavor. The GSEs had engaged in lending programs that were similar in risk to the reckless lending schemes that had emerged in the private sector, including no-income, no-asset (NINA) loans, as well as interest only (IO) loans. Those risky assets were hidden because the GSE Act did not require Fannie and Freddie to file quarterly and annual reports with the Securities and Exchange Commission. Fannie and Freddie, whose executives grew rich on the bonuses and salaries they earned as they drove down lending standards, were not prohibited from lobbying Congress in the GSE Act. They also were able to set up charitable organizations that could funnel money to ACORN and other allies. The design of the GSE regulatory system by ACORN and other housing groups assured that Fannie and Freddie would lead a race to the bottom in lending standards. The regulatory regime also gave Fannie and Freddie such heavy political clout they could easily forestall any and all efforts at reform by Congress until they were on the verge of collapse. "The GSE Act set Fannie and Freddie on the road to the mortgage meltdown," said Pinto (page 46). Why would Johnson agree to such a regulatory regime during his negotiations with the housing groups that wrote the legislation? Fannie and Freddie thought they could capture the regulator (both HUD and OFHEO) and prevent the housing goals from rising so high they would threaten their existence, according to Pinto. But, in fact, Johnson and the GSEs in general, made a major political miscalculation. So far, ACORN and other housing advocates have not revealed what they expected from the regulatory framework they largely wrote. Yet, regardless of what was intended, the GSE Act created a regulatory regime that Washington could not alter because of the perverse incentives the law put into place. It was a regime that would push affordable lending to ever higher and higher levels. The vast expansion of mortgage lending by the GSEs and the inevitable and irresistible political pressure to raise the goals to ever higher and higher levels guaranteed that more and more funds would flow to ACORN and other housing groups, who helped lenders find borrowers to help them meet "affordable" housing goals. Perversely, the same housing groups could also get funds to help borrowers having trouble making their mortgage payments. ACORN, thus, gained revenue streams no matter what happened to the loans. In the end, the GSE Act turned out to be a "suicide pact" for Fannie and Freddie (page 73) -- one that would make a lot of politically-connected executives at the two firms very wealthy along the way. The mountain of risky loans engendered by the GSE Act's regulatory regime helped build the housing bubble and spread risky assets across the globe through the sale of Fannie and Freddie securities, helping to set the stage for the financial crisis of 2008.